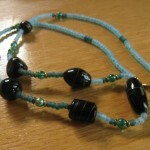 The Lagoon jewelry set evokes the refreshing nature of a secluded beach in smooth glass and metal beads. 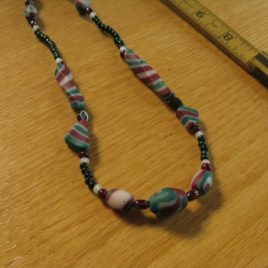 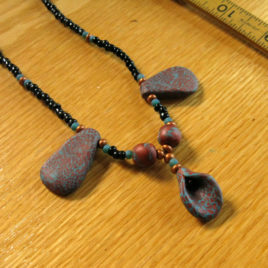 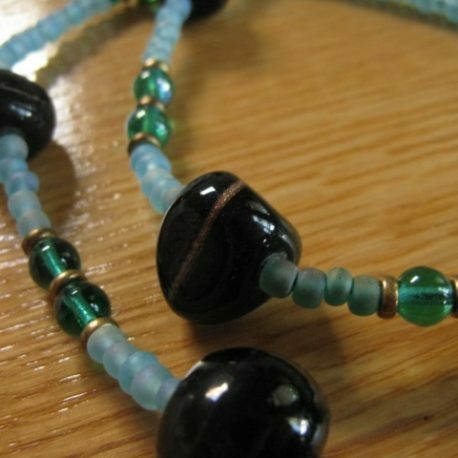 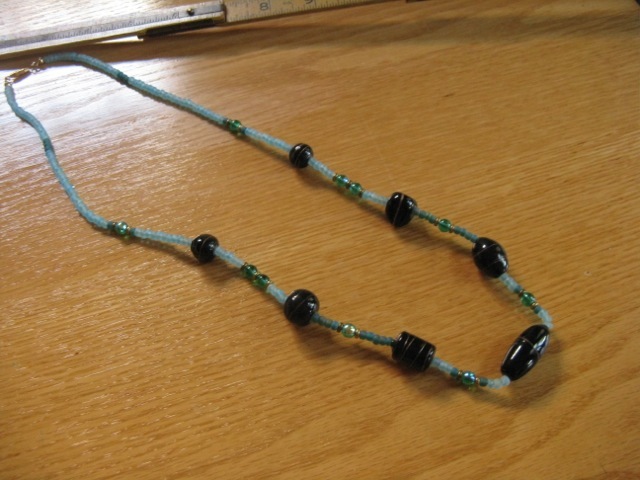 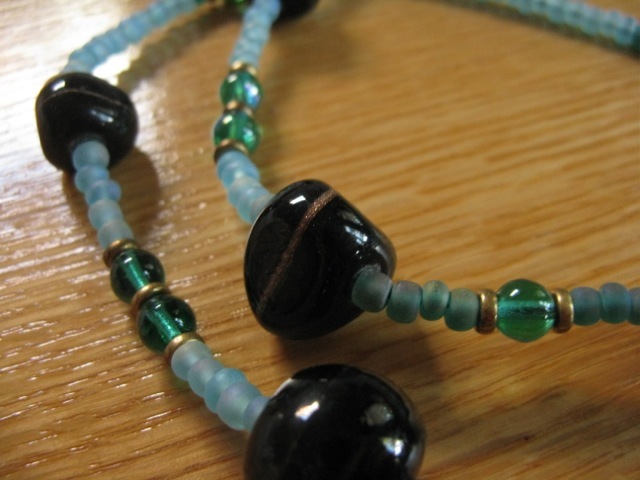 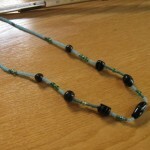 The large glass beads in this necklace are black with traces of brass-colored sparkle; the smaller beads are frosted and pearlescent glass in three shades of aqua, complemented by brass discs. 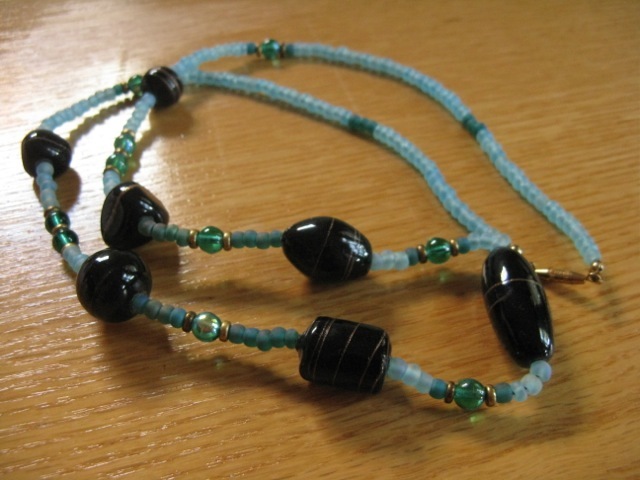 The Lagoon necklace is approximately 26″. 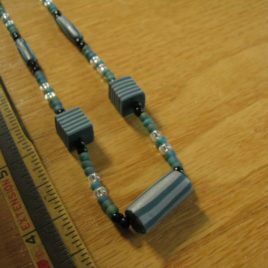 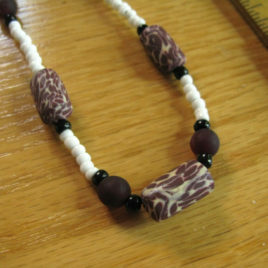 This necklace matches the Lagoon earrings.